UFC 214 World Light Heavyweight Championship Cormier vs Jones 2! UFC 214 World Light Heavyweight Championship Cormier vs Jones 2!! 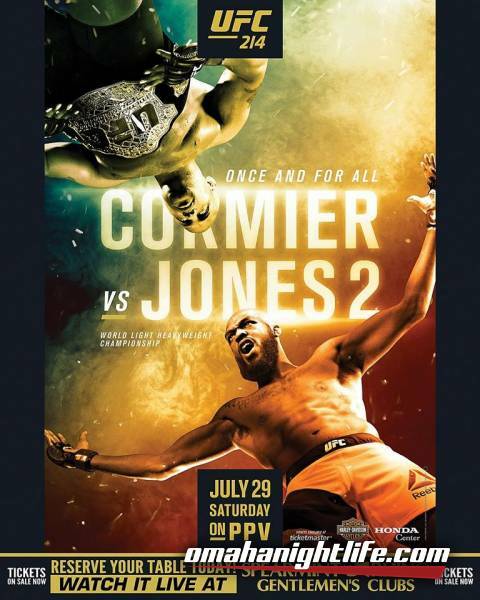 Saturday, July 29th on PPV! Watch it live at Spearmint Rhino Gentlemen's Club!